Doctor Strange director Scott Derrickson has revealed that the original Eye of Agamotto is safe. Derrickson's home in Thousand Oaks, California was hit by the Woolsey Fire and burned to the ground. The director and his family only had a few minutes to evacuate before their neighborhood was engulfed in flames, but he grabbed the Doctor Strange prop as one of the handful of things that he took on his way out the door. Derrickson has been pretty quiet on social media over the last week, but he has been thanking fans for their support. In a recent social media post, Scott Derrickson let everybody know that his house was destroyed and later posted pictures of the wreckage. He and his two sons went digging through what used to be their home to see if anything made it through the extreme heat. Derrickson was very happy to find his father's dog tags, and found them on Veteran's Day. The tags were visibly charred, but you could still make out what they said. One of the very few items that made it through the fire untouched was a Doctor Strange action figure. It was one of three things that did not burn, which also included a succulent in a pot and a cup. Scott Derrickson is happy that his family made it out safely, and has continued to thank Marvel Cinematic Universe fans for all of their love and support in such a tough time. Even after losing everything, the director is keeping a positive attitude. When a fan asked what he was going to do now, he simply replied, "keep on keeping on." The Woolsey Fire is one of the largest fires to ever hit the Los Angeles area, having burned 97,620 acres at the time of this writing. It is currently only 52 percent contained and has killed three people and left some people missing. Earlier this week, Los Angeles County Fire Chief Daryl Osby said that the fire was "roughly the size of Denver." It has been estimated that the Woolsey Fire has destroyed at least 500 homes, with Doctor Strange director Scott Derrickson's house being one of them. Southern California does have some rain in the forecast for next week, which should be able to help fire fighters get a handle on the Woolsey Fire. However, mudslides could end up occurring, which would put even more homes in jeopardy. Scott Derrickson noted in one of his tweets that he is not very materialistic, and said, "But this loss and whipsaw change will become a source of growth for all of us." 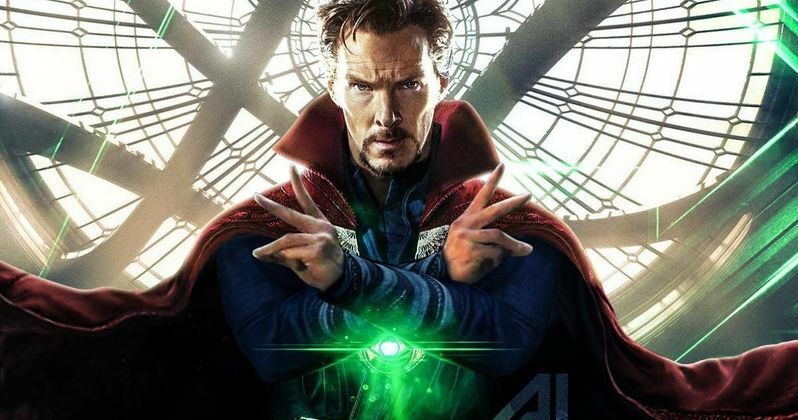 The Doctor Strange director is remaining optimistic in a time of huge challenge. He and his family were able to escape the fires with their lives, which is really all that the director wanted in the first place. You can see the Eye of Agamotto below, thanks to CScott Derrickson's Twitter account. I’m not trying to be optimistic about losing literally everything — I’m just not materialistic by nature. To me it’s just stuff. It’s harder for my boys, losing items that have profound memory meaning. But this loss and whipsaw change will become a source of growth for all of us.